Click on the picture to the side to open a PDF file that outlines steps for starting a successful intervention program. This outline is from the text: Simplifying Response to Intervention, Four Essential Guiding Principles. 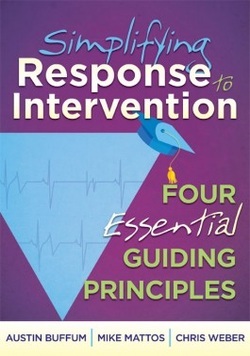 This book outlines four key principles for implementing a Response to Intervention program. 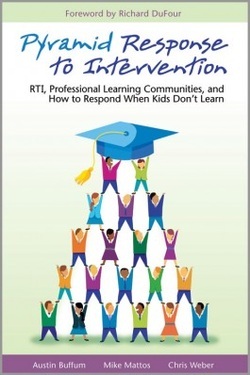 Pyramid Response to InterventionRTI, Professional Learning Communities, and How to Respond When Kids Don't LearnAccessible language and compelling stories illustrate how RTI is most effective when built on the Professional Learning Communities at Work™ process. Written by award-winning educators from successful PLC schools, this book demonstrates how to create three tiers of interventions—from basic to intensive—to address student learning gaps. You will understand what a successful program looks like, and the many reproducible forms and activities will help your team understand how to make RTI work in your school.